Before two workers were seriously burned today, Chuck Conklin, Spokane's director of solid waste disposal, had said the facility had a sterling safety record. 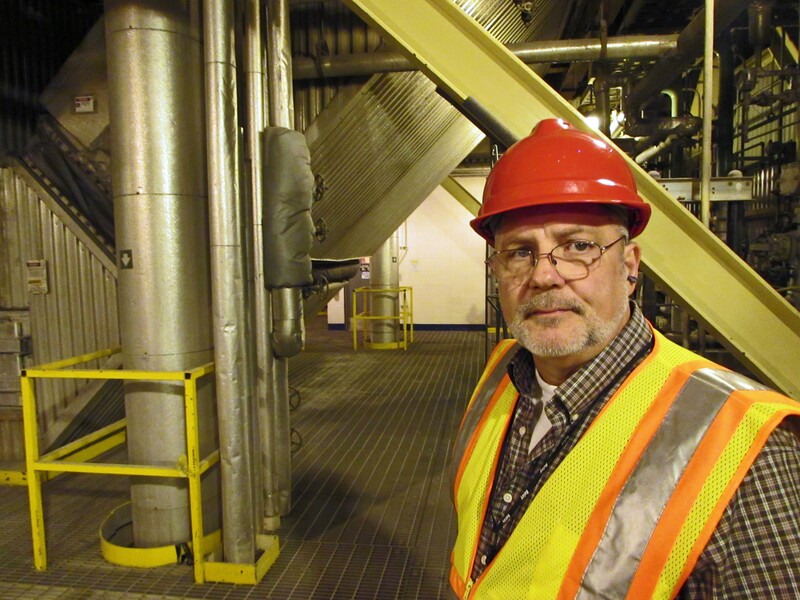 Walking through the Waste-to-Energy Plant back in April, Chuck Conklin, Spokane's director of solid waste disposal, heaped praise upon the plant's management and employees for their sterling safety record, noting the plant had received the highest federal safety designation available. "Our employees have a great safety program. We just finished a run of four-and-a-half years without any kind of accident here, and then someone slipped or something like that," Conklin says. "These guys get it. They’re great at it and we have a great management team here." Today, however, an accident in the plant caused two employees to be rushed to Providence Sacred Heart, and later to the burn unit at Harborview Medical Center in Seattle. Last night, Utilities Spokeswoman Marlene Feist says the employees discovered a pinhole leak in one of the water tubes that insulate the two boilers and produce steam. That isn't unusual. "From time to time, the tubes get holes in them from the extreme heat," Feist says. "On a somewhat regular basis, we shut down the boiler because of holes in the tubes." The boiler was shut down for repairs. And this morning, two employees descended into the boiler in order to weld the hole shut. Feist says these type of repairs are routine for the employees, who have a combined 23 years of experience. But this time, something went wrong. Feist says it still isn't completely clear, but it appears as if the employees received serious steam-related burns when water — used to locate the small hole in the tube — reacted to molten waste that had been left in the boiler. For now, the facility has been closed to both commercial and residential waste, though Feist says the active boiler will continue to operate at minimal levels. In April, Conklin noted how dangerous steam is to his employees. "Look, we're dealing with fire at 2,500 degrees," Conklin says. "Were dealing with steam pressure at 1,000 pounds. Steam pressure. If you have a leak in a pipe, at the temperatures and pressures we have here, it's not visible. You'll hear it. But you wouldn’t be able to see it. If you walk by it, it could do some real damage." That steam can approach 900 degrees Fahrenheit and can reach 1000 pounds per square inch, Conklin says. "There's rotating equipment — plenty of places to get burned," Conklin says. "The easiest thing you could possibly do is come here and get hurt, because there are so many ways to get hurt." But traditionally, the plant's record has been solid. In March of last year, the plant received the federal "Voluntary Protection Program" STAR designation from the State Department of Labor & Industries, the highest worker safety and health designation available. In April, Conklin stressed what an honor it was to receive that designation. "VPP is a big deal. There are only about 1,800 businesses or workplaces in the United states that have achieved that. And that's because it's hard. It's difficult to get. We were the first municipal-run facility to get a VPP-star in the state of Washington." The injuries that have happened at the Waste-to-Energy plant in the past had been minor. "There have been time-lost injuries, but all minor in nature... People have injuries from time to time. Backs get hurt, knees get hurt," Feist says. "[But] Chuck says there's never been an accident like this." Back in 2004, however, an employee was killed at the city's wastewater plant. Plant worker Mike Cmos Jr. was inspecting the sewage digester at the plant when the tank imploded. He fell in the sludge and died, while two others were injured in the implosion. Four years later, the accident resulted in a $6.5 million ruling against contractor CH2M Hill, which was found to have been negligent for changes it made to valves in the facility that led to the explosion. The city and county take one step toward collaboration - and two steps back. How wind power is reshaping the Palouse and giving at least one dying town a second chance. CdA’s already gone to single-stream recycling, with Spokane hot on its heels.